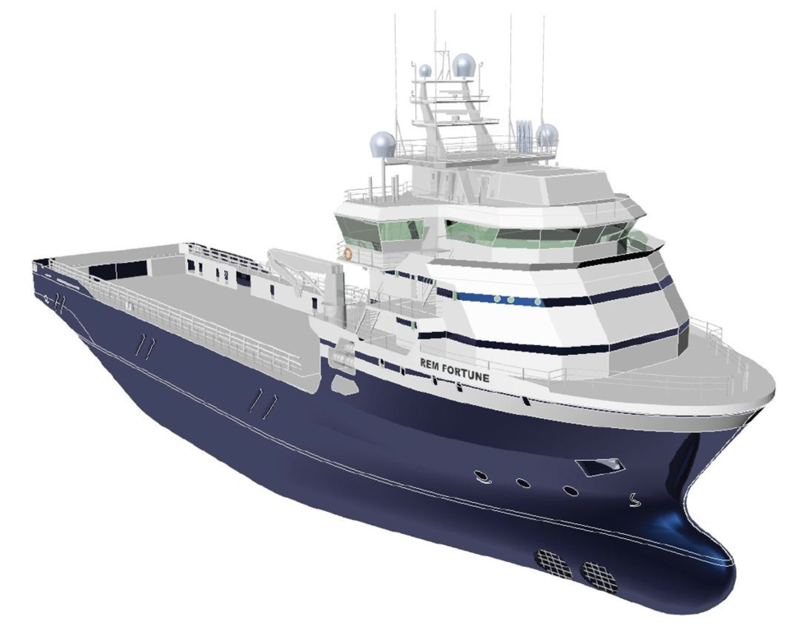 Kleven Maritime will carry out an extensive remodeling of the offshore vessel Rem Fortune, from the platform service vessel into the multi-purpose support vessel. The vessel is currently placed at Myklebust Yard in Gursken, where it should be mounted with a 100-ton offshore crane. Reconstruction also includes installation of the helideck, opening of the moon-pool, installation of the 8-ton auxiliary crane, anti-heeling system and the ROV equipment. The vessel will be ready for delivery in mid-March. Myklebust Yard is a combination yard that rates on both a new construction and repair and service operations, and the activity at the yard is very high these days, with five boats at the dock. Kleven Maritime has invested 70 million in new dock coming to Myklebust Yard in the spring. This is a strategically important initiative that sets the yard in a position to take on even greater after-market work for the offshore industry. The dock can take vessels up to 170 meters in length and 28.5 meters in width and has a lifting capacity of 15 000 tons, which is about double the current capacity of Myklebust Yard. There is an agreement for the sale of Rem Fortune from Rem Offshore ASA to Marine Platforms Limited.